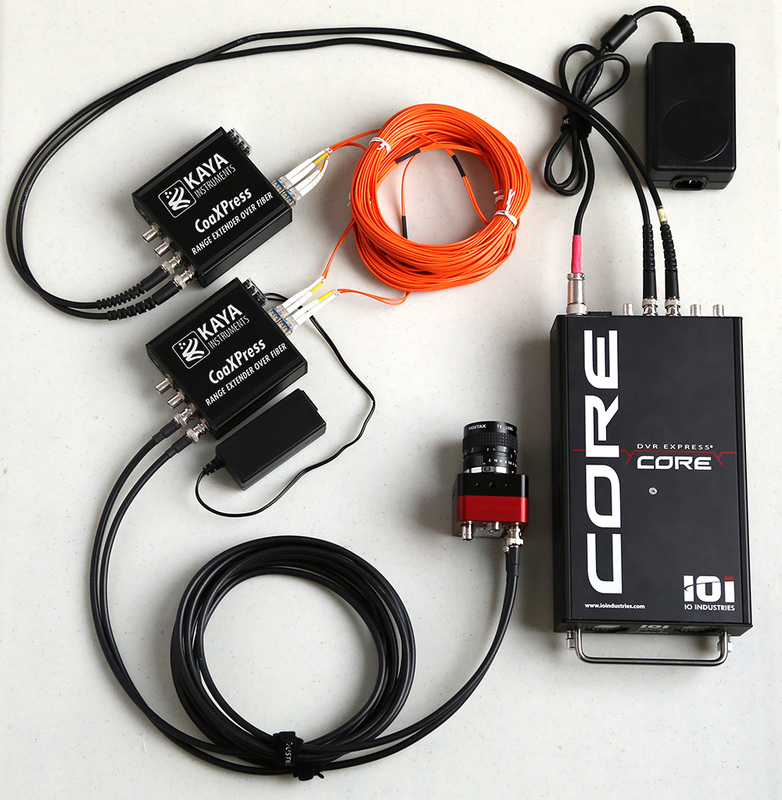 The system utilizes KAYA Instruments’ CoaXPress Range Extender over Fiber to provide a high resolution stream interface for distances of up to 10km in single-mode and up to 400m in multi-mode. Optic fiber is electrically isolated, hence it does not radiate nor is it susceptible to electromagnetic interference, also eliminates the problems associated with grounding. The fiber cable is not easily tapped, providing more secure communication. The system is constructed of two convertors, one on the camera side and one on the host side. The camera side converter can provide a power to the camera over CoaXPress link, while the host side converter can sink power from the frame grabber. The converters use flexible SFP+ modules for optical connection that can be easily changed. The range extender is able to provide an uplink of up to 6.25Gbps (CXP-6) and downlink at 20.83Mbps.